DETROIT -- The departure of the brand heads of Buick-GMC and Chevrolet marks the end of the Henderson-Lutz era and the beginning of Susan Docherty's reign in sales and marketing. Buick-GMC head Michael Richards, who left Ford Motor Co. in 2008, has quit eight days after joining General Motors Co., GM spokesman Chris Preuss said today. The company probably will seek to replace him with someone from outside GM, Preuss said. 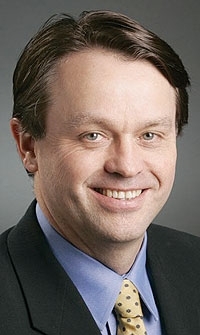 Brent Dewar, 54, who was appointed in July to steer Chevrolet, has elected to leave GM within four months. He is succeeded by James Campbell, 45, who today took over as general manager of the division from his position heading GM's Fleet and Commercial Operations. Both Richards and Dewar assumed their positions when Vice Chairman Bob Lutz was steering GM's marketing efforts. But on Dec. 1, Fritz Henderson was ousted as CEO. Three days later, Chairman Ed Whitacre announced a series of management changes that took marketing from Lutz and put it under Docherty, the former Buick-GMC head who took control of GM's U.S. sales operations in October. The brand heads’ voluntary departures suggest they had wanted to work for Henderson and Lutz, but shied away from a position under GM’s new management team. Lutz’s other brand head appointment, former designer Bryan Nesbitt, is still in his position heading Cadillac. Nesbitt assumed that role Aug. 1. Richards had worked for Ford 27 years before he was pushed out of his job as general marketing manager for Lincoln-Mercury. The announcement that Lutz had appointed him to head Buick-GMC came just hours before Whitacre announced Henderson’s departure. Dewar had been GM's European sales chief before he was tapped to head Chevrolet. But Docherty, not Dewar, got the promotion to head U.S. sales. Now Dewar will work with successor Campbell through April 1 “to ensure a smooth transition at Chevrolet” before retiring “to dedicate more time to his family and to pursue personal interests,” GM said in a statement. He will also serve out the remainder of his 31-year GM career as an adviser to Reuss. Before running GM's fleet and commercial unit, Campbell held various positions in field sales, retail incentives, marketing and customer relationship management. He has worked for GM since 1988. The change comes at a time of tumult at GM as executives who devoted a full career to the Detroit-based automaker find themselves being shown the door -- or head for it on their own. Whitacre, who also became interim CEO with Henderson's departure, said this week that the new team of GM executives would not have long to show results.